Last week, I talked about how I could probably do without the flashbacks, but at least “Al Sah-Him” kept them to an absolute minimum. And thankfully, when we did cut to Hong Kong, most of that time was spent watching Tatsu carve up General Shrieve’s men with her katana. Oliver and Maseo were also there, engaged in yet another terribly choreographed shoot-out. The trio manage to stop the army from injecting more citizens with the Alpha and Omega bio-weapon, but by the time they decide to get out of dodge, Akio’s already been infected. A reveal that might have had more weight if we didn’t already know that he dies. 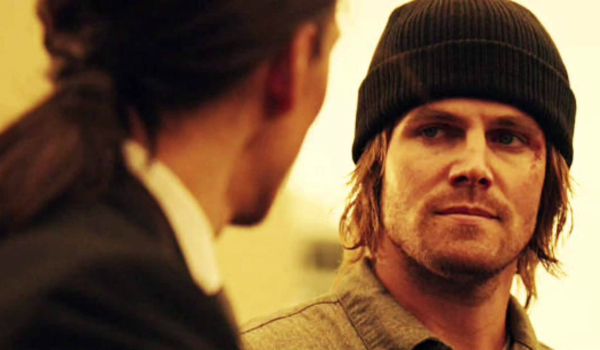 I know the flashbacks are meant to show how awful it would be for Oliver to unleash the weapon on Starling but the scenes are so strung-out they’re a snooze. Fortunately for Arrow, the events in the present storyline are starting to get really interesting as we enter the homestretch. With Oliver away, the B-Team of Dig, Felicity and Laurel are doing their best to keep Starling City safe. I loved the suggestion that it’s time for John to ‘suit-up;’ too bad he shot that idea down. We also got our first look (or I should say listen) at the new Canary cry and it’s pretty rad. Cisco did a great job whipping that up for her on last week’s episode of The Flash. 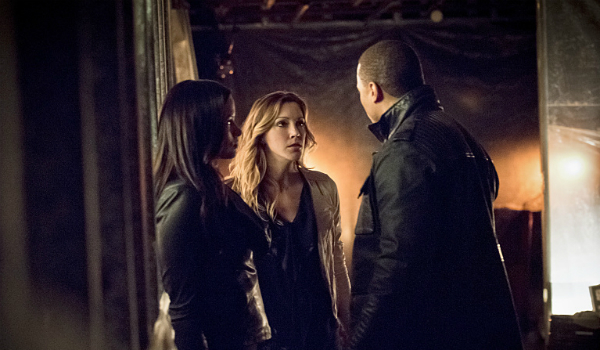 Laurel and Nyssa’s bond continues to strengthen and the latter name-drops Lian Yu when the pair are talking about Sara. And speaking of Saras, baby Diggle also makes an appearance when Lyla becomes Boliver’s (bad or bizarro Oliver) way of getting Nyssa without facing the B-Team in battle. The B-Team has other plans, of course, and Thea (or should I say Mia) shows up to save the day. Badass. I hope she doesn’t leave to be with Roy. She’s my favorite. 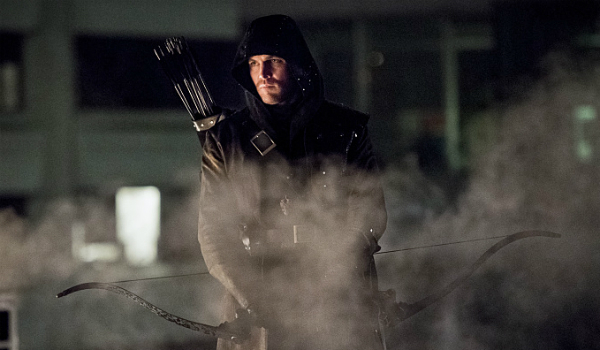 Arrow continues with Episode 22, “This Is Your Sword,” next Wednesday at 8:00 p.m. ET on The CW. Created by Marc Guggenheim, Andrew Kreisberg and Greg Berlanti, the DC Comics inspired series stars Stephen Amell, Katie Cassidy, David Ramsey, Emily Bett Rickards, Willa Holland, Paul Blackthorne and John Barrowman.